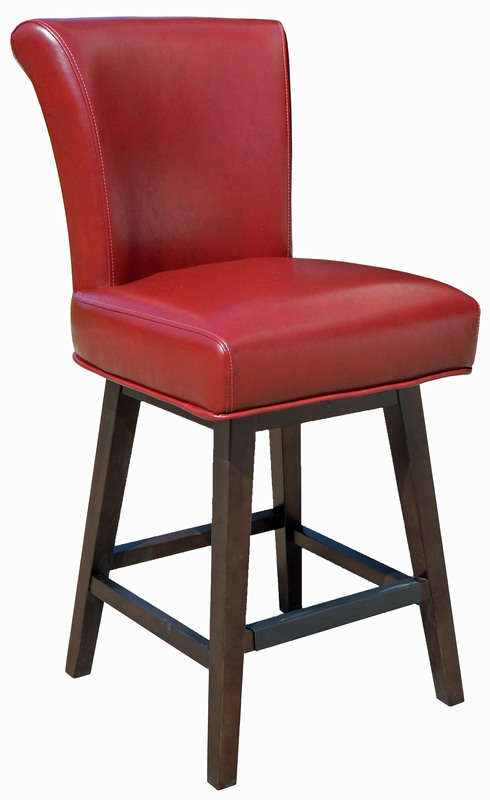 This elegant rolled back swivel bar and counter stool is the perfect mix of transitional design and comfort. available in red, black, cream and dark brown commercial grade bonded leather with an espresso finished frame. A black metal plate protects the footrest from wear and tear. 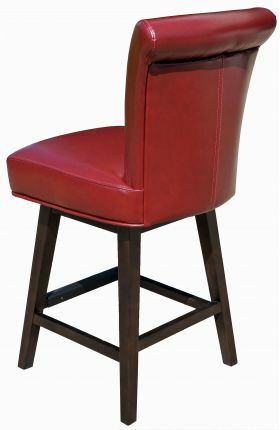 Dimensions: Counter Stool: W-20" x D-23.5" x H-40.5" x SH: 26"